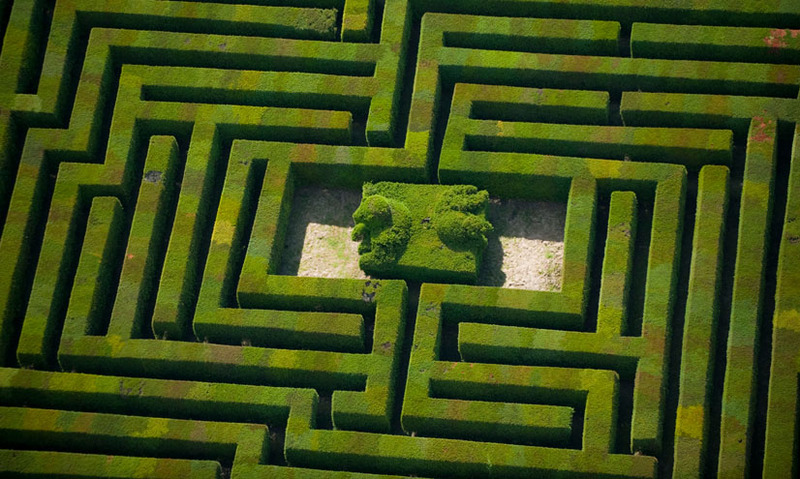 Find out how labyrinths and mazes are created, and how to navigate your way through each. Throughout history, man has sought to build the most confusing and disorientating mazes and labyrinths possible. From the underground Labyrinths of Greek legends, guarded by the deadly minotaur to decorative Roman labyrinths and garden mazes, popular in Victorian England. But did you know there is usually a single way out? Despite looking similar, labyrinths and mazes have an important difference. Labyrinths have only one path, leading from the entrance to the centre. They are constructed around a seed pattern, which is simply a cross with a dot in each quadrant, forming a bigger square. Connecting lines alternating left and right around the square, form a spiral pattern. Any labyrinth can be drawn with an unbroken single movement. This is known as unicursal design. So no matter how complex the labyrinth looks, only one unbroken path leads to its centre. In a maze however, you have decisions to make. There are multiple paths, but only one way out. 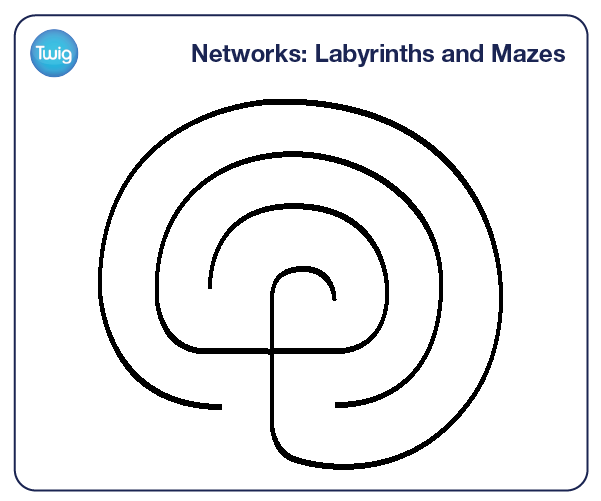 In this simple maze, the traditional style of connections are used. All of its walls are connected either to each other, or to the maze's outer boundary. Letters represent the different decision points where more than one path is possible. But in fact, there's a simple trick to finding your way out of any traditional maze – simply keep one hand on the wall, and you will always find your way out.